As part of the 2018 Southern California World Water Forum, Seven California colleges and universities have been selected to receive grants to fund proposals to develop new water conservation and supply technologies in support of a more sustainable water future. From a project that contemplates using dew to irrigate urban gardens to another that will consider a new way to desalinate ocean water, the grant recipients propose and explore innovative ways to provide safe water to communities in California and around the world. In addition to the Metropolitan Water District of Southern California, the forum is co-sponsored by the U.S. Bureau of Reclamation, the Sanitation Districts of Los Angeles County, Friends of the United Nations and Water For People. The program awards grants of $10,000 to college teams to research, develop and communicate water-use efficiency or local supply technologies and strategies that can be employed cost-effectively in water-stressed regions, locally, regionally or internationally. Through the program, grant winners must design a project or prototype that will contribute to a more sustainable water future, including developing a business plan and providing evidence it could become fully sustainable. The World Water Forum grant program was founded in 2006, following the United Nations declaration of the International Decade of Water to raise awareness about global water issues. Since then, World Water Forum has awarded $800,000 to 32 local colleges and universities on projects to advance a sustainable water future. In addition to developing new water technologies, the grants foster Southern California’s future workforce in engineering, environmental science and water careers. “World Water Forum inspires students by giving them a direct connection between their class work and the crucial job of ensuring a sustainable water source for the public,” said Benita Horn, who manages the program as part of Metropolitan Water District of Southern California’s education programs. • A San Diego State University project to find a lower cost and less energy-intensive approach to seawater desalination. Researchers will explore using low-grade waste heat to convert seawater to vapor and then condense it to form pure water. • A Loma Linda University School of Public Health project to reduce contamination in community water wells in Chad. • A University of California at Los Angeles study on the safety of using treated wastewater to irrigate urban parks, and the impact on antibiotic resistance genes. • A University of California at Riverside effort to develop a more water-efficient scrubber that reduces ammonia emissions in dairy facilities. • A University of Southern California project to implement a rainwater harvesting system that will capture, filter and store rainwater for a community in Guatemala. The next round of World Water Forum grants will open in October 2018. 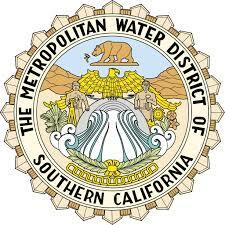 More information is available on the Metropolitan Water District of Southern California’s World Water Forum website.